Voice 4 Girls is on a mission to produce educated and aware girls in every village across the country. 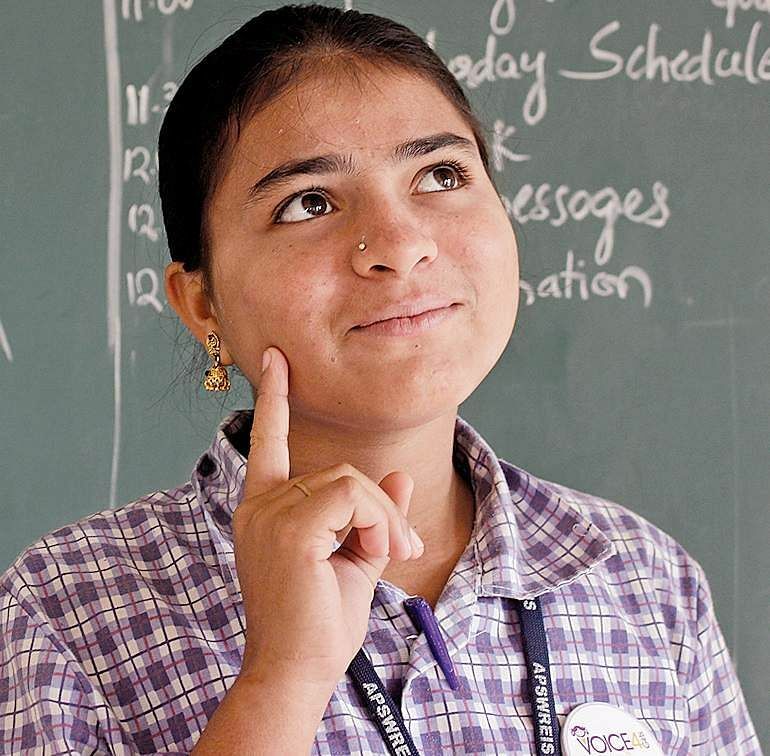 HYDERABAD: For Class IX student Manasa P, life became tough after her father died. Her mother had to work in the field to support them both, and she took care of of household chores after school. Life in Bommakal, a small village in Telangana, is not easy more so for girls like Manasa. “Many girls of my age are already married. When parents want to get their daughters married off, it is difficult to stop them,” says Manasa. Life took a turn when she came to a camp organised by VOICE 4 Girls, where she learnt about menstruation, gender equality, human rights, etc. After the completion of camp she also got trained to teach her peers the things she had learnt at the Voice camp. Manasa went back to her vilage and spoke to people in the village about the importance of educating girls and delaying their marriage. Subsequently, she also wrote a book called ‘Naa Lakshyam’ (My Aim) in Telugu for the girls in her community, telling them what she learnt at camp. In a country where a whopping 40 per cent of girls don’t graduate class X, and 47 per cent are married before they turn 18, Voice 4 Girls, is on a mission to produce hundreds of Manasas in every village across the country. The Hyderabad-based NGO works towards empowerment of marginalised adolescent girls with critical information and life skills. “Nearly 23 per cent of rural Indian girls drop out of school when they first start menstruating. These girls are already battling poverty and social discrimination,” says Anusha Bharadwaj, executive director of the organisation. The social enterprise is a platform that enables 12-16 year-old girls from low-income or rural backgrounds learn English language communication and women empowerment during four-week camps every summer and winter. “Through activity-based camps, we teach young girls about their changing bodies, menstruation, health and nutrition, basic rights (to education, protection from abuse, legal age of marriage), and how to identify and react to the threat of abuse and violence. In addition, we also provide lessons on basic spoken English, life skills like negotiation, problem-solving and conflict-resolution with some emphasis on changing stereotyped perspectives of beauty, gender roles, and perceptions of strength and beauty,” Malini Gopalakrishnan of the organisation elaborates. Since its inception in 2012, the orgainsation has reached out to 30,000 adolscent girls. “Girls trained by us over three modules go back to their schools were they teach the same to their peers,” explains Anusha. Besides TelanganaVoice and Andhra Pradesh Voice camps has reached girls in states like Tamil Nadu, Uttar Pradesh, Haryana and Uttarakhand too. “The organisation is now launching a campaign to raise funds for 25 camps which would directly reach out to more than 600 girls,” explains Malini and adds that each rupee brings one young girl closer to realising her dream and also a step away from dangers like early marriage, teen pregnancy, abuse, discrimination and a life of poverty. Each camp for 25 girls costs `25,000; this includes the cost of camp supplies, colourful camper books, stationery, stipend paid to counsellors and transportation costs.